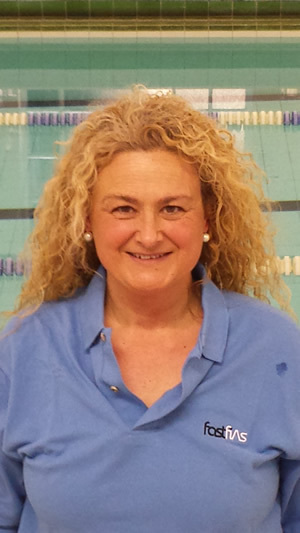 Sonsoles has over 15 years teaching and coaching swimming experience in Spain and London and, in conjunction with the International Sport for All Federation, has taught all ages and skill levels from babies to adults, beginners to advanced level swimmers. Additionally, Sonsoles has taught aqua gym and has worked as a swimming coach in Andorra (I Swimming Campus FEN, Spanish Swimming Federation) and in Madrid (La Salle SC) and has swim management expertise after working at La Dehesa, Sport Military Club. She is officially recognized as an 'International Expert in Aquatic Activities' and 'Beach Animation' with FISpT (Sport for All Federation: FISpT Coordinator. Study Tour UK) and shared her expertise with the Commission Barcelona (1992). She was a Lecturer in 'Aquatic Fitness for Seniors', International Course in M-86, Madrid and FISpT Organizer for the '24 Hours of Senior Citizenship' in Brussels. Sol loves swimming and teaching in equal measure! For her, the secret of teaching lies in variety, each age group and stroke offer her unique opportunities of satisfaction. Sonsoles also enjoys basketball, judo, climbing, running and skiing.